The Florida Truck Accident Attorneys of Gilman Law LLP are Here to Help You. When an automobile is involved in a collision with a large truck, the results can be devastating for the occupants of the car. Weighing up to 80,000 pounds, commercial trucks — also known as tractor trailers, semis, or 18-wheelers — are more dangerous than any other vehicle on the road. 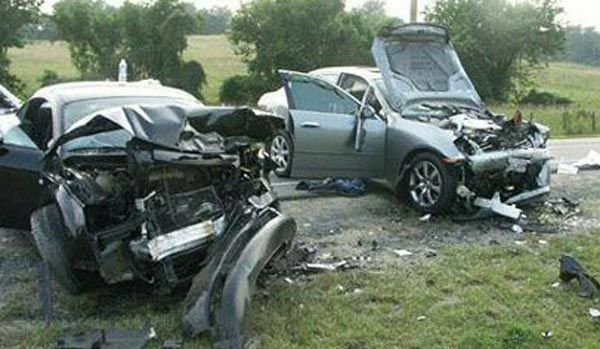 They made up only four percent of registered vehicles nationally in 2007 but were involved in one of every eight injuries in motor vehicle accidents. Those statistics show the odds are stacked against you when you’re a truck accident. And when you’re involved a Florida tractor-trailer collision, you’ll soon find you’re at a disadvantage in dealing with the trucking companies responsible for your injuries. You need an experienced lawyer on your side to protect your rights. The Florida truck accident lawyers of Gilman Law LLP have helped hundreds of victims and their families recover after a collision with a truck. 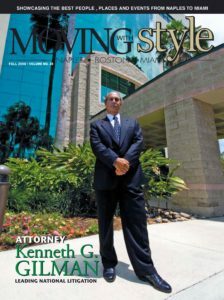 We offer free consultations to victims of Florida truck accidents and their families. Our goal is to help accident victims get their lives back on track with the financial security that is their right. 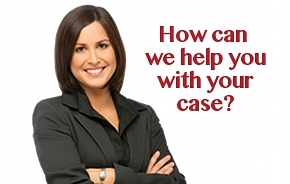 Please fill out our online form, or call 1 800 LAW INFO (1-800-529-4636) for help with your case. Our truck accident attorneys serve clients across Florida, including Naples, Fort Myers, Marco Island, Cape Coral, Lee County, Collier County, Everglades City, Golden Gate, Immokalee, Bonita Springs and Sanibel. 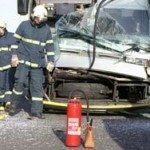 This entry was posted in Truck Accidents on January 13, 2011 by admin. Large trucks are more numerous on the road today than in years past — and they’re traveling more miles than ever. The Federal Motor Carrier Administration reported a 49 percent increase in registered large trucks and a 76 percent increase in miles traveled by large truck from 1986 to 2006. Large trucks are involved in thousands of accidents each year — many of them fatal. Florida had 4,566 vehicles involved in fatal crashes in 2007 and 288 involved large trucks, according to the National Highway Traffic Safety Administration. What is behind these truck accidents? National studies show many are caused by negligence on the part of the truck driver. According to a 2007 federal study of fatal truck accidents, factors that are frequently found in truck crashes include driving too fast for conditions, fatigue, roadway problems, feeling under pressure from motor carriers, adverse weather and brake problems. Truck drivers were cited as driving too fast almost 50 percent more often than passenger vehicle drivers in the accidents. And brake problems were cited for almost 40 percent of the trucks involved, the Fleet Motor Carrier Administration study reported. According to the National Highway Traffic Safety Administration, 413,000 large trucks were involved in traffic crashes in the United States in 2007. One out of nine traffic fatalities involved a truck. A total of 4,808 people died and an additional 101,000 were injured in those collisions. One analysis by the Federal Motor Carrier Safety Administration found that almost half of all trucks involved in fatal U.S. crashes weighed more than 60,000 pounds at the time of the accident. Given the massive weight of semi-trucks when compared to the average car, which weighs about 4,000 pounds, it’s no surprise that the injuries suffered in car-truck accidents can be more extensive than in other traffic accidents — and that often it’s the drivers and passengers in the smaller passenger vehicles that suffer the most severe injuries. Three-fourths of the fatalities and the injuries resulting from collisions involving a truck were the occupants of another vehicle. The dangers of a car-truck collision can be magnified if the truck is hauling hazardous or flammable cargo. Drivers who are involved in an accident with a truck should get legal advice as soon as possible — before you discuss the matter with an insurance adjuster or sign any paperwork. Insurance companies and trucking companies may try to reach a quick settlement to limit their financial responsibility. We urge you to contact one of our experienced Florida truck accident lawyers today to fight for your legal rights and ensure that you receive the full compensation that you deserve. While the truck driver may be the most obvious person at fault in an accident, the driver may not be the only person or business entity legally responsible for the accident. Motor carrier companies, trailer owners, contractors and insurance companies may have a legal obligation to compensate you for your injuries. In some cases, the shipper of hazardous materials carried by the truck may also be liable. 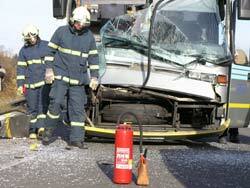 Truck accident claims can be very complex. Multiple insurance companies representing the driver and the trucking firm and in some cases the freight shipper may be involved. This can create complications and delays if each insurance company is insisting that another is responsible for paying your claim. It may take the threat of legal action to get the insurance companies to settle a claim. Lawyers must be knowledgeable about fleet maintenance procedures and federal laws that dictate safety rules and regulations. Federal trucking regulations spell out the maximum number of hours a driver may be on the road with a break (known as Hours of Service Regulations) and require that drivers and trucking companies keep a detailed log. Federal laws also require drivers and trucking companies to keep maintenance records. The experienced Florida truck accident lawyers at Gilman Law LLP know how to use these records to our clients’ advantage in any legal action. The experienced lawyers at Gilman Law LLP are skilled at evaluating the contributing factors to an accident and will help you identify all potential defendants to ensure fair and appropriate compensation for your injuries. Our lawyers will not be intimidated by trucking companies or their insurers into doing anything not in the best interest of our clients. The Florida truck accident lawyers of Gilman Law LLP have helped hundreds of victims and their families recover after a collision with a truck. If you or someone you love has been injured in a Florida truck accident caused by the negligence of a driver or trucking company, you have valuable legal rights. Please fill out our online form, or call 1 800 LAW INFO (1-800-529-4636) to discuss your case with one of the experienced truck accident attorneys at our firm.